Polishing holder equipped with IPC mechanism provides stable polishing result regardless of ferrule length. Polishing holders for various connector types are available. Scopleaner 7 combines a fibre optic connector cleaner and inspector in a single easy to use fast package. FerrulePro™ automates the cleaning of all types of terminated fibre products, a critical task where performance once depended largely on the production line worker’s skill. FerrulePro™ automates the final cleaning of all types of terminated fibre products, a critical task where performance once depended largely on the production line worker’s skill. 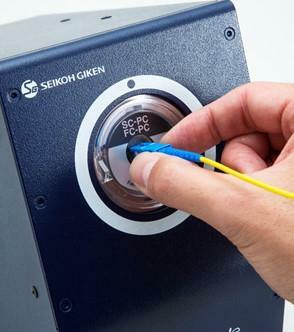 Now, the newly upgraded SPR-2 model can clean fibre connectors in 1.5 second cycles - eliminating the need for re-cleaning after post production inspection. 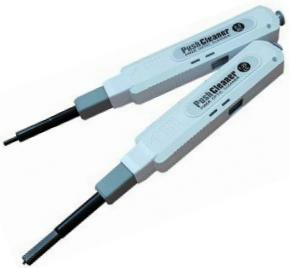 Extremely slim and very portable the PushCleaner can access the narrowest of situations including PCB mounted SFPs.